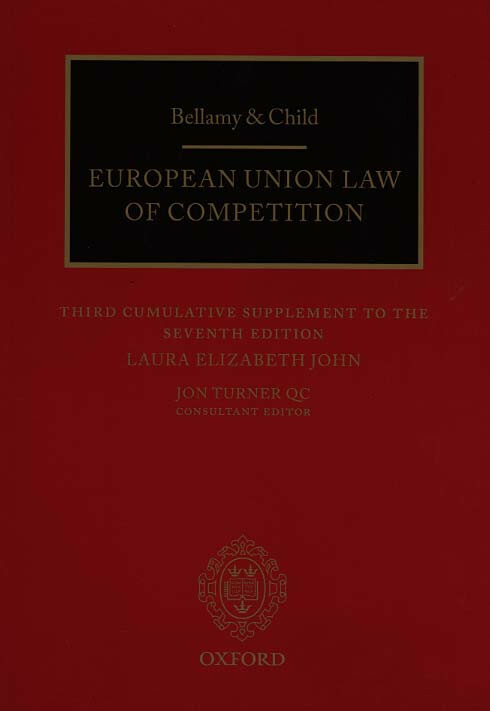 Renowned for its precise statement of legal principles and exhaustive citation of judicial and legislative authorities, Bellamy & Child is the leading practitioner work on EU competition law. This brand new updating supplement brings the main work up to date and incorporates all substantive developments since the seventh edition. h is an essential purchase for all those who already own the main work and want to maintain its currencv. Jon Turner QC, Consultant Editor.